The chart tracks the number of women who have won Nominating Conventions to date for each of the parties. We will update regularly with results of upcoming Conventions. 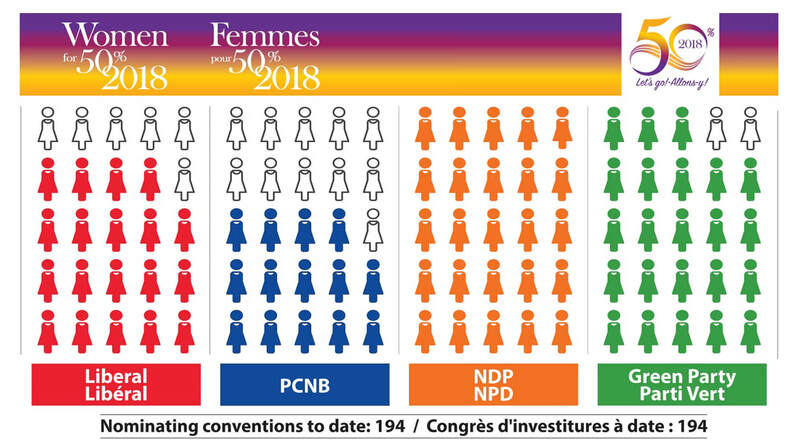 ​Resource guide for women interested in participating in the NB political landscape. ​​​ This is not about men vs women – this is about gender-balanced politics. It is about ensuring our political representatives better reflect the actual people they represent. It is about the female voice being heard and respected.